The demographics of the United States, and of the world, are rapidly changing; national and racial diversity is increasing and bifurcation of socioeconomic status continues. These societal patterns highlight the tensions and hopeful possibilities inherent in the science and practice of behavior analysis. 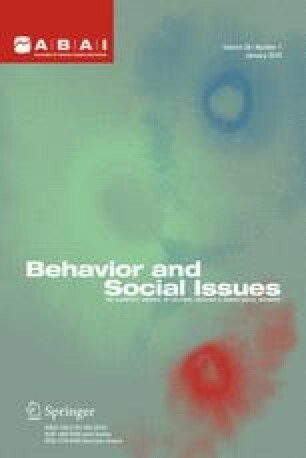 In this paper, we review the general climate surrounding diverse populations and access to care, characterize the demographics of behavior analysis and leadership, and discuss the synergistic activities 2 related disciplines, public health and anthropology, may contribute toward social justice. We conclude with recommendations and goals for increasing cultural responsiveness in the study and practice of behavior analysis. Such responsiveness is likely to allow advances in our understanding of how behavior changes and what meaning those changes have for individuals and society. No authors have known conflicts or dual interests related to this manuscript. Fisher-Borne, M., Montana Cain, J. & Martin, S. L. (2015). From mastery toaccountability: Cultural humility as an alternative to cultural competence. Social Work Education, 34(2), 165–181. https://doi.org/10.1080/02615479.2014.977244. Hemphill, B. (2015). Social justice as a moral imperative. The Open Journal of Occupational Therapy 3(2), article 9. https://doi.org/10.15453/2168-6408.1150. Nosik, M. R., Luke, M. M., & Carr, J. E. (2018). Representation of women in behavior analysis: An empirical analysis. Behavior Analysis: Research and Practice. Advance online publication. https://doi.org/10.1037/bar000118. Rosenberg, N. E., & Schwartz, I. S. (2018). Guidance or compliance: What makes an ethical behavior analyst? Behavior Analysis in Practice. Advance online publication. https://doi.org/10.1007/s40617-018-00287-5. Taylor, B. A., LeBlanc, L. A., & Nosik, M. R. (2018). Compassionate care in behavior analytic treatment: Can outcomes be enhanced by attending to relationships with caregivers? Behavior Analysis in Practice. Advance online publication. https://doi.org/10.1007/s40617-018-00289-3. United Nations. United Nations Declaration of Human Rights. Retrieved Oct 24, 2018 from http://www.un.org/en/universal-declaration-human-rights.